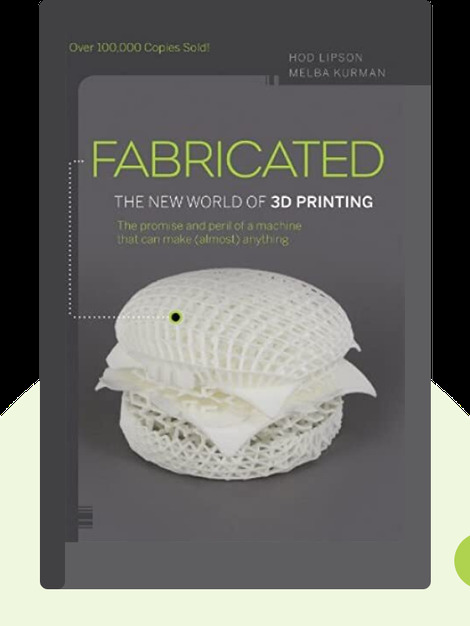 Fabricated (2013) offers a detailed view of the nuts and bolts of additive manufacturing – or, as it is more commonly known, 3D printing. In addition to exploring some of the technology’s more far-out possibilities, these blinks also provide insight into its more personal implications. 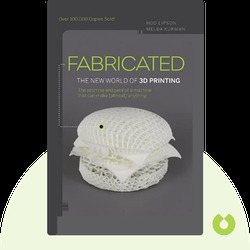 Hod Lipson is a professor of mechanical engineering at Columbia University, where he directs the Creative Machines Lab. He specializes in robotics and asking questions about whether they’ll ever become self-replicating. His work has appeared in notable publications such as the New York Times and the Wall Street Journal. Melba Kurman is a technology writer and blogger who is interested in the impact technology has on our lives. She holds degrees from Cornell University and the University of Illinois. Her other books include Driverless: Intelligent Cars and the Road Ahead and Tech Transfer 2.0. © Hod Lipson, Melba Kurman: Fabricated copyright 2013, John Wiley & Sons Inc. Used by permission of John Wiley & Sons Inc. and shall not be made available to any unauthorized third parties.